This 2 gallon plastic bucket with lid is a lovely storage container. Made with #2 sturdy hard-wearing HDPE plastic that is a USDA approved food grade bucket. Distortion is prevented with reinforced Saturn rings - even when the bucket is full of water. Rugged build and uniform wall thickness create stacking strength and utility bucket durability. A tapered design allows for easy separation. 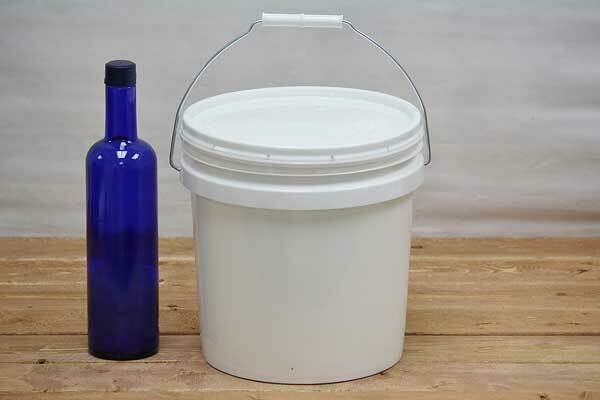 2 Gallon buckets are available with and without tear-strip gasket storage lids. This lid has a gasket making it airtight. Tear-strip lid is tamper resistant when you're ready to open simply break the tab and strip off the edge by hand. Made in the USA. BPA Free. We also carry 1 gallon buckets with lids and 3.5 gallon food grade buckets.